Get the opportunity to see the quintessential marvel of India. The Same Day Agra Tour will take you to explore Taj Mahal at the time of sunrise. This masterpiece has won the hearts of celebs, politicians, writers and general masses. On this tour, you will get to learn more about the dedication of the 22,000 men from India and Central Asia who took the pain and effort to create this tomb of magnificence. The team comprises of mason, stone cutters, dome builders and carvers. Deep observation will help you learn the spiritual significance of Taj Mahal. Take time to observe the verses of Holy Quran engraved on the walls of the tomb. Also, the garden in which Taj Mahal is situated has spiritual significance as it represents paradise in the Holy Quran. After enjoying the Sunrise Visit of Taj Mahal, head towards Agra Fort yet another marvel of Mughal architecture. 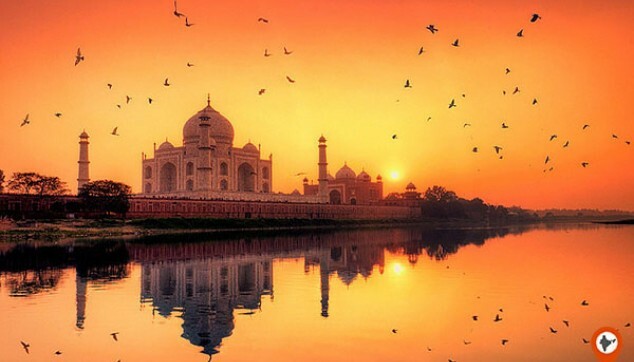 A sunrise visit of Taj Mahal which is the best time to admire its beauty. Magnificent view of the Yamuna river during morning hours. 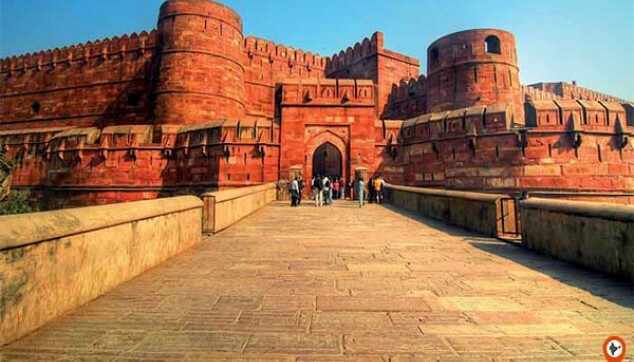 The marvels of Agra Fort made out of red sandstone. A local guide sharing interesting tales about the city of Taj. Before the city awakens, in the quiet of the night start your journey towards exploring the seventh wonder of the world. Around 2 am, our driver will receive you from Delhi Airport or Hotel. After a drive of 3 to 4 hours, reach Agra. On reaching Agra, one of our representatives will meet you. He will take you towards exploring Taj Mahal on your Private Same Day Taj Mahal Tour. Take a stroll around this masterpiece of Mughal Era. Sitting beautifully on the banks of Yamuna river, this tomb made of white, ivory marble will take your heart away. The beautiful carvings, designs and pillars exhibiting the verses from the Quran is a sight to remember. Take a good time at this place to observe the seventh wonder of the world. 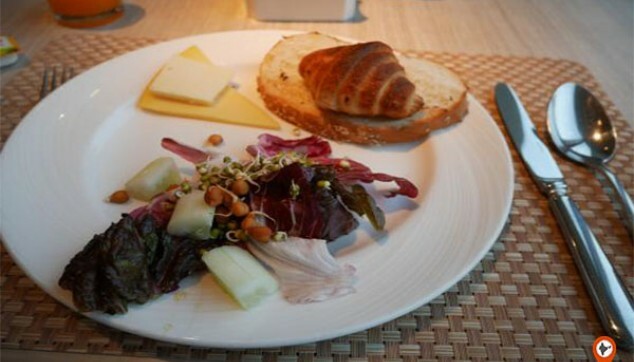 After visiting Taj Mahal, we would take you for the breakfast at local restaurant in Agra. Next, head towards Agra Fort. Raja Badal Singh created the fort, which later came under the rule of the Mughal Dynasty. At this fort, see the persistent hard work of around 4,000 builders who worked continuously for 8 years to create this marvel listed under UNESCO world heritage site. After this, you will be driven to explore the Marble Factory and other handicraft shops in Agra. Later on, you will be driven back to the New Delhi Airport or Hotel. With this, the Agra Day Tour comes to an end. Breakfast at a Local Restaurant in Agra. Taj Mahal looked breathtakingly beautiful at sunrise and it took my heart away. It was my first trip to India and Agra is done. Looking forward to visiting India more often and see all the places here. The services I took from Indiator were amazing and it was all smooth. Thank you, guys! I believe everyone should visit Taj Mahal at sunrise. It is more beautiful with the backdrop of sun rays. I really enjoyed the trip in Agra with Indiator. It was a good trip. Appreciate the efforts put by the Indicator team. Thankyou for such a nice trip.